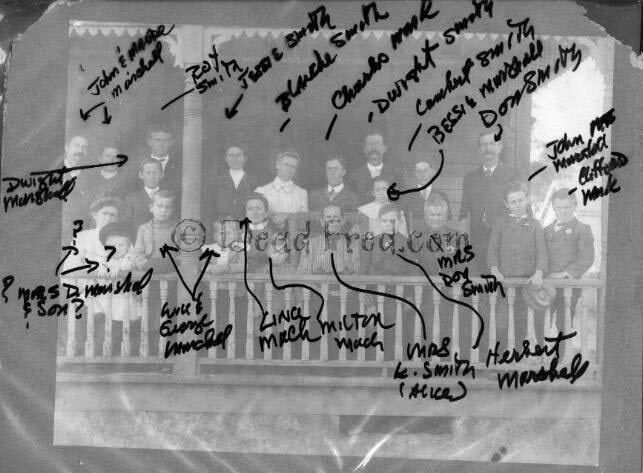 Comments: ALICE Smith (Nee: ) | APALACHICOLA FL UNITED STATES | 1901-1920 | Comments: 1904- MARSHALL,MACK,SMITH, Archive Note: 5/16/2006 Linda cherokeeladyfox@cox.net is looking for information **Im looking for the Smith's who lived in Walton county, in a small town called Anna Uchee Florida. John Cannon married Cynthia Smith and theyre children were: Margaret Cannon Nancy Cannon John Cannon Mary Anna Cannon ------------------------------------ Mary Anna Cannon is spelled several different ways: Mariann, Marianna John Cannons profession at the time was a Driver and Wagoner; Mary Anna Cannon was my Grt Grandmother. Born March 15 1873 and died Dec.18 1952 She died in Escambia County Florida, it says she was born in Escambia County, but I am not really sure that is accurate. I would be grateful for any information.